I will bless the Lord at all times; his praise shall ever be in my mouth. My soul shall glory in the Lord; let the humble hear and be glad. O praise God in his holiness; praise him in the firmament of his power. Praise him with the blast of the trumpet; praise him upon the harp and lyre. Praise him with timbrel and dances; praise him upon the strings and pipe. Praise him with ringing cymbals; praise him upon the clashing cymbals. so, at your command, they may help and defend us on earth; through Jesus Christ your Son our Lord, who is alive and reigns with you, in the unity of the Holy Spirit, one God, now and for ever. Amen. Hear my prayer, O God; hide not yourself from my petition. Give heed to me and answer me; I am restless in my complaining. I am alarmed at the voice of the enemy and at the clamour of the wicked; for they would bring down evil upon me and are set against me in fury. My heart is disquieted within me, and the terrors of death have fallen upon me. Fearfulness and trembling are come upon me, and a horrible dread has overwhelmed me. Confuse their tongues, O Lord, and divide them, for I have seen violence and strife in the city. Day and night they go about on her walls; mischief and trouble are in her midst. Wickedness walks in her streets; oppression and guile never leave her squares. For it was not an open enemy that reviled me, for then I could have borne it; Nor was it my adversary that puffed himself up against me, for then I would have hid myself from him. But it was even you, one like myself, my companion and my own familiar friend. We took sweet counsel together and walked with the multitude in the house of God. Let death come suddenly upon them; let them go down alive to the Pit; for wickedness inhabits their dwellings, their very hearts. As for me, I will call upon God and the Lord will deliver me. 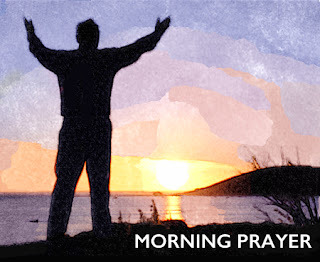 In the evening and morning and at noonday I will pray and make my supplication, and he shall hear my voice. He shall redeem my soul in peac efrom the battle waged against me, for many have come upon me. God, who is enthroned of old, will hear and bring them down; they will not repent, for they have no fear of God. My companion stretched out his hands against his friend and has broken his covenant; his speech was softer than butter, though war was in his heart; his words were smoother than oil, yet are they naked swords. Cast your burden upon the Lord and he will sustain you, and will not let the righteous fall for ever. But those that are bloodthirsty and deceitful, O God, you will bring down to the pit of destruction. They shall not live out half their days, but my trust shall be in you, O Lord. Some days later when Felix came with his wife Drusilla, who was Jewish, he sent for Paul and heard him speak concerning faith in Christ Jesus. And as he discussed justice, self-control, and the coming judgement, Felix became frightened and said, ‘Go away for the present; when I have an opportunity, I will send for you.’ At the same time he hoped that money would be given to him by Paul, and for that reason he used to send for him very often and converse with him. After two years had passed, Felix was succeeded by Porcius Festus; and since he wanted to grant the Jews a favour, Felix left Paul in prison. Gracious God, you call us to fullness of life: deliver us from unbelief and banish our anxieties with the liberating love of Jesus Christ our Lord. Amen. but keep his commandments, and not be like their forebears, a stubborn and rebellious generation, a generation whose heart was not steadfast, and whose spirit was not faithful to God. When the Lord heard this, he was full of wrath; a fire was kindled against Jacob and his anger went out against Israel, for they had no faith in God and put no trust in his saving help. So he commanded the clouds above and opened the doors of heaven. He rained down upon them manna to eat and gave them the grain of heaven. So mortals ate the bread of angels; he sent them food in plenty. So they ate and were well filled, for he gave them what they desired. But they did not stop their craving; their food was still in their mouths, when the anger of God rose against them, and slew their strongest men and felled the flower of Israel. But for all this, they sinned yet more and put no faith in his wonderful works. So he brought their days to an end like a breath and their years in sudden terror. Whenever he slew them, they would seek him; they would repent and earnestly search for God. They remembered that God was their rock and the Most High God their redeemer. Yet they did but flatter him with their mouth and dissembled with their tongue. Their heart was not steadfast towards him, neither were they faithful to his covenant. But he was so merciful that he forgave their misdeeds and did not destroy them; many a time he turned back his wrath and did not suffer his whole displeasure to be roused. For he remembered that they were but flesh, a wind that passes by and does not return. Ahaziah had fallen through the lattice in his upper chamber in Samaria, and lay injured; so he sent messengers, telling them, ‘Go, inquire of Baal-zebub, the god of Ekron, whether I shall recover from this injury.’ But the angel of the Lord said to Elijah the Tishbite, ‘Get up, go to meet the messengers of the king of Samaria, and say to them, “Is it because there is no God in Israel that you are going to inquire of Baal-zebub, the god of Ekron?” Now therefore, thus says the Lord, “You shall not leave the bed to which you have gone, but you shall surely die.” ’ So Elijah went. So he died according to the word of the Lord that Elijah had spoken. His brother Jehoram succeeded him as king in the second year of King Jehoram son of Jehoshaphat of Judah, because Ahaziah had no son. The Jews also joined in the charge by asserting that all this was true. But Felix, who was rather well informed about the Way, adjourned the hearing with the comment, ‘When Lysias the tribune comes down, I will decide your case.’ Then he ordered the centurion to keep him in custody, but to let him have some liberty and not to prevent any of his friends from taking care of his needs. Merciful God, whose servant Vincent de Paul, by his ministry of preaching and pastoral care, brought your love to the sick and the poor: give to all your people a heart of compassion that by word and action they may serve you in serving others in their need; through Jesus Christ your Son our Lord, who is alive and reigns with you, in the unity of the Holy Spirit, one God, now and for ever. Amen. I cry aloud to God; I cry aloud to God and he will hear me. In the day of my trouble I have sought the Lord; by night my hand is stretched out and does not tire; my soul refuses comfort. I think upon God and I groan; I ponder, and my spirit faints. You will not let my eyelids close; I am so troubled that I cannot speak. I consider the days of old; I remember the years long past; I commune with my heart in the night; my spirit searches for understanding. Will the Lord cast us off for ever? Has his loving mercy clean gone for ever? I will remember the works of the Lord and call to mind your wonders of old time. I will meditate on all your works and ponder your mighty deeds. Your way, O God, is holy; who is so great a god as our God? You are the God who worked wonders and declared your power among the peoples. With a mighty arm you redeemed your people, the children of Jacob and Joseph. The waters saw you, O God; the waters saw you and were afraid; the depths also were troubled. The voice of your thunder was in the whirlwind; your lightnings lit up the ground; the earth trembled and shook. Your way was in the sea, and your paths in the great waters, but your footsteps were not known. You led your people like sheep by the hand of Moses and Aaron. So the king died, and was brought to Samaria; they buried the king in Samaria. They washed the chariot by the pool of Samaria; the dogs licked up his blood, and the prostitutes washed themselves in it, according to the word of the Lord that he had spoken. Now the rest of the acts of Ahab, and all that he did, and the ivory house that he built, and all the cities that he built, are they not written in the Book of the Annals of the Kings of Israel? So Ahab slept with his ancestors; and his son Ahaziah succeeded him. Jehoshaphat son of Asa began to reign over Judah in the fourth year of King Ahab of Israel. Jehoshaphat was thirty-five years old when he began to reign, and he reigned for twenty-five years in Jerusalem. His mother’s name was Azubah daughter of Shilhi. He walked in all the way of his father Asa; he did not turn aside from it, doing what was right in the sight of the Lord; yet the high places were not taken away, and the people still sacrificed and offered incense on the high places. Jehoshaphat also made peace with the king of Israel. Now the rest of the acts of Jehoshaphat, and his power that he showed, and how he waged war, are they not written in the Book of the Annals of the Kings of Judah? So the soldiers, according to their instructions, took Paul and brought him during the night to Antipatris. The next day they let the horsemen go on with him, while they returned to the barracks. When they came to Caesarea and delivered the letter to the governor, they presented Paul also before him. On reading the letter, he asked what province he belonged to, and when he learned that he was from Cilicia, he said, ‘I will give you a hearing when your accusers arrive.’ Then he ordered that he be kept under guard in Herod’s headquarters. Almighty God, you have made us for yourself, and our hearts are restless till they find their rest in you: pour your love into our hearts and draw us to yourself, and so bring us at last to your heavenly city where we shall see you face to face; through Jesus Christ your Son our Lord, who is alive and reigns with you, in the unity of the Holy Spirit, one God, now and for ever. Amen. When the going gets tough the most common response is to get complaining! That’s how we start today with the prophet Jeremiah and his lament. When it gets hard, we call on God to vindicate us and get those who stand opposed to us – and God – in our laments: Our prayers to God. Compare this with our Gospel reading from Mark where Jesus tell His disciples of His coming betrayal and death and resurrection with the results that they all look the other way because they get it but don’t want to accept it. If I’d benefit Jesus in this situation I’d have been doing a bit of lamenting and moaning at God. But He didn’t. “Why do you fight and argue amongst yourselves?” asks James in our middle reading. The answer is that the disciples have their eyes on rank, status and who sits where in the pecking order. This is no different in the Church – there are many clergy who have bored my socks off over the years with their droning on about their relationship with the bishop and their achievements and their rank and titles. They’re the same people who are found on the front row wherever the bishop is to be found. They’re the same people who want to be influential and applauded by the world – people who are willing to put the word of God aside to be viewed favourably by the world. Yes it does (Luke 6). We are called to be servants – not doormats! We are not called to look the other way or water down the Gospel or compromise. “Let’s agree to differ!” is not the way of love, it’s the path where we permit others to sin (and that means we're sinning too) and make the statement that that which we believe to be wrong is as valid as that which we know in ourselves (the word of God) is right. Galatians chapter six lays it out for us nicely: “Brothers and sisters, if someone is caught in a sin, you who live by the Spirit should restore that person gently. But watch yourselves, or you also may be tempted. Carry each other’s burdens, and in this way you will fulfil the law of Christ. I was in a meeting with other clergy recently and I realised that satan need do nothing to act against the Church and the kingdom of God; he just needs to step back and leave it to us Christians. We compromise the word of God to be popular and we put on our services to entertain and be an attraction (and of course it should be – but in the right way). In a church which is apparently full of ‘green shoots’ (something bishops love to be told) I heard of nothing but diminishing numbers and ageing congregations. So I asked one of the spokespeople how many people they’d brought to the church over the past few years. Their response? “That’s the Vicar’s job!” I know their Vicar and I have to say that of they are waiting for them to fill the church building with believers then they are in for a long wait and an increasingly empty building!! Follow Christ – preach the Gospel – Live the Gospel in our own lives – serve those around us – correct those who are wrong – seek the paths of peace and concord – don’t look to be popular but to be right in the eyes of God (and man). And when they line up against you pray that God strengthens you and shows his love and blessing on those who might hate us. But never compromise your faith or deny the word of God. Lord, we pray that your grace may always precede and follow us, and make us continually to be given to all good works; through Jesus Christ our Lord. Amen. But Lord, you rule over all. You always judge fairly. You test people’s hearts and minds. So pay them back for what they’ve done. I’ve committed my cause to you. Is anyone among you wise and understanding? That person should show it by living a good life. A wise person isn’t proud when they do good deeds. But suppose your hearts are jealous and bitter. Suppose you are concerned only about getting ahead. Then don’t brag about it. And don’t say no to the truth. Wisdom like this doesn’t come down from heaven. It belongs to the earth. It doesn’t come from the Holy Spirit. It comes from the devil. Are you jealous? Are you concerned only about getting ahead? Then your life will be a mess. You will be doing all kinds of evil things. But the wisdom that comes from heaven is pure. That’s the most important thing about it. And that’s not all. It also loves peace. It thinks about others. It obeys. It is full of mercy and good fruit. It is fair. It doesn’t pretend to be what it is not. Those who make peace plant it like a seed. They will harvest a crop of right living. Why do you fight and argue among yourselves? Isn’t it because of your sinful desires? They fight within you. You want something, but you don’t have it. So you kill. You want what others have, but you can’t get what you want. So you argue and fight. You don’t have what you want, because you don’t ask God. When you do ask for something, you don’t receive it. That’s because you ask for the wrong reason. You want to spend your money on your sinful pleasures. So obey God. Stand up to the devil. He will run away from you. Come near to God, and he will come near to you. Wash your hands, you sinners. Make your hearts pure, you who can’t make up your minds. Truly, God is loving to Israel, to those who are pure in heart. Nevertheless, my feet were almost gone; my steps had well-nigh slipped. For I was envious of the proud; I saw the wicked in such prosperity; for they suffer no pains and their bodies are sleek and sound; they come to no misfortune like other folk; nor are they plagued as others are; therefore pride is their necklace and violence wraps them like a cloak. Their iniquity comes from within; the conceits of their hearts overflow. They scoff, and speak only of evil; they talk of oppression from on high. They set their mouth against the heavens, and their tongue ranges round the earth; and so the people turn to them and find in them no fault. They say, ‘How should God know? Behold, these are the wicked; ever at ease, they increase their wealth. Is it in vain that I cleansed my heart and washed my hands in innocence? All day long have I been stricken and chastened every morning. If I had said, ‘I will speak as they do,’ I should have betrayed the generation of your children. Then thought I to understand this, but it was too hard for me, Until I entered the sanctuary of God and understood the end of the wicked: How you set them in slippery places; you cast them down to destruction. How suddenly do they come to destruction, perish and come to a fearful end! As with a dream when one awakes, so, Lord, when you arise you will despise their image. When my heart became embittered and I was pierced to the quick, I was but foolish and ignorant; I was like a brute beast in your presence. Yet I am always with you; you hold me by my right hand. You will guide me with your counsel and afterwards receive me with glory. And there is nothing upon earth that I desire in comparison with you. Though my flesh and my heart fail me, God is the strength of my heart and my portion for ever. Up to this point they listened to him, but then they shouted, ‘Away with such a fellow from the earth! For he should not be allowed to live.’ And while they were shouting, throwing off their cloaks, and tossing dust into the air, the tribune directed that he was to be brought into the barracks, and ordered him to be examined by flogging, to find out the reason for this outcry against him. But when they had tied him up with thongs, Paul said to the centurion who was standing by, ‘Is it legal for you to flog a Roman citizen who is uncondemned?’ When the centurion heard that, he went to the tribune and said to him, ‘What are you about to do? This man is a Roman citizen.’ The tribune came and asked Paul, ‘Tell me, are you a Roman citizen?’ And he said, ‘Yes.’ The tribune answered, ‘It cost me a large sum of money to get my citizenship.’ Paul said, ‘But I was born a citizen.’ Immediately those who were about to examine him drew back from him; and the tribune also was afraid, for he realized that Paul was a Roman citizen and that he had bound him. When Paul noticed that some were Sadducees and others were Pharisees, he called out in the council, ‘Brothers, I am a Pharisee, a son of Pharisees. I am on trial concerning the hope of the resurrection of the dead.’ When he said this, a dissension began between the Pharisees and the Sadducees, and the assembly was divided. (The Sadducees say that there is no resurrection, or angel, or spirit; but the Pharisees acknowledge all three.) Then a great clamour arose, and certain scribes of the Pharisees’ group stood up and contended, ‘We find nothing wrong with this man. What if a spirit or an angel has spoken to him?’ When the dissension became violent, the tribune, fearing that they would tear Paul to pieces, ordered the soldiers to go down, take him by force, and bring him into the barracks. Lord God, who gave to Lancelot Andrewes many gifts of your Holy Spirit, making him a man of prayer and a pastor of your people: perfect in us that which is lacking in your gifts, of faith, to increase it, of hope, to establish it, of love, to kindle it, that we may live in the light of your grace and glory; through Jesus Christ your Son our Lord, who is alive and reigns with you, in the unity of the Holy Spirit, one God, now and for ever. Amen. In you, O Lord, do I seek refuge; let me never be put to shame. In your righteousness, deliver me and set me free; incline your ear to me and save me. Be for me a stronghold to which I may ever resort; send out to save me, for you are my rock and my fortress. Deliver me, my God, from the hand of the wicked, from the grasp of the evildoer and the oppressor. For you are my hope, O Lord God, my confidence, even from my youth. Upon you have I leaned from my birth, when you drew me from my mother’s womb; my praise shall be always of you. be covered with scorn and reproach. But as for me I will hope continually and will praise you more and more. My mouth shall tell of your righteousness and salvation all the day long, for I know no end of the telling. I will begin with the mighty works of the Lord God; I will recall your righteousness, yours alone. O God, you have taught me since I was young, and to this day I tell of your wonderful works. Forsake me not, O God, when I am old and grey-headed, till I make known your deeds to the next generation and your power to all that are to come. Your righteousness, O God, reaches to the heavens; in the great things you have done, who is like you, O God? What troubles and adversities you have shown me, and yet you will turn and refresh me and bring me from the deep of the earth again. Increase my honour; turn again and comfort me. Later the following events took place: Naboth the Jezreelite had a vineyard in Jezreel, beside the palace of King Ahab of Samaria. And Ahab said to Naboth, ‘Give me your vineyard, so that I may have it for a vegetable garden, because it is near my house; I will give you a better vineyard for it; or, if it seems good to you, I will give you its value in money.’ But Naboth said to Ahab, ‘The Lord forbid that I should give you my ancestral inheritance.’ Ahab went home resentful and sullen because of what Naboth the Jezreelite had said to him; for he had said, ‘I will not give you my ancestral inheritance.’ He lay down on his bed, turned away his face, and would not eat. As soon as Jezebel heard that Naboth had been stoned and was dead, Jezebel said to Ahab, ‘Go, take possession of the vineyard of Naboth the Jezreelite, which he refused to give you for money; for Naboth is not alive, but dead.’ As soon as Ahab heard that Naboth was dead, Ahab set out to go down to the vineyard of Naboth the Jezreelite, to take possession of it. ‘I am a Jew, born in Tarsus in Cilicia, but brought up in this city at the feet of Gamaliel, educated strictly according to our ancestral law, being zealous for God, just as all of you are today. I persecuted this Way up to the point of death by binding both men and women and putting them in prison, as the high priest and the whole council of elders can testify about me. From them I also received letters to the brothers in Damascus, and I went there in order to bind those who were there and to bring them back to Jerusalem for punishment. ‘While I was on my way and approaching Damascus, about noon a great light from heaven suddenly shone about me. I fell to the ground and heard a voice saying to me, “Saul, Saul, why are you persecuting me?” I answered, “Who are you, Lord?” Then he said to me, “I am Jesus of Nazareth whom you are persecuting.” Now those who were with me saw the light but did not hear the voice of the one who was speaking to me. I asked, “What am I to do, Lord?” The Lord said to me, “Get up and go to Damascus; there you will be told everything that has been assigned to you to do.” Since I could not see because of the brightness of that light, those who were with me took my hand and led me to Damascus. Let God arise and let his enemies be scattered; let those that hate him flee before him. As the smoke vanishes, so may they vanish away; as wax melts at the fire, so let the wicked perish at the presence of God. But let the righteous be glad and rejoice before God; let them make merry with gladness. Sing to God, sing praises to his name; exalt him who rides on the clouds. The Lord is his name; rejoice before him. Father of the fatherless, defender of widows, God in his holy habitation! O God, when you went forth before your people, when you marched through the wilderness, The earth shook and the heavens dropped down rain, at the presence of God, the Lord of Sinai, at the presence of God, the God of Israel. You sent down a gracious rain, O God; you refreshed your inheritance when it was weary. Your people came to dwell there; in your goodness, O God, you provide for the poor. The Lord gave the word; great was the company of women who bore the tidings: ‘Kings and their armies they flee, they flee!’ and women at home are dividing the spoil. Though you stayed among the sheepfolds, see now a dove’s wings covered with silver and its feathers with green gold. When the Almighty scattered the kings, it was like snowflakes falling on Zalmon. You mighty mountain, great mountain of Bashan! You towering mountain, great mountain of Bashan! Why look with envy, you towering mountains, at the mount which God has desired for his dwelling, the place where the Lord will dwell for ever? Blessed be the Lord who bears our burdens day by day, for God is our salvation. God is for us the God of our salvation; God is the Lord who can deliver from death. God will smite the head of his enemies, the hairy scalp of those who walk in wickedness. We see your solemn processions, O God, your processions into the sanctuary, my God and my King. The singers go before, the musicians follow after, in the midst of maidens playing on timbrels. In your companies, bless your God; bless the Lord, you that are of the fount of Israel. At the head there is Benjamin, least of the tribes, the princes of Judah in joyful company, the princes of Zebulun and Naphtali. Send forth your strength, O God; establish, O God, what you have wrought in us. For your temple’s sake in Jerusalem kings shall bring their gifts to you. Drive back with your word the wild beast of the reeds, the herd of the bull-like, the brutish hordes. Trample down those who lust after silver; scatter the peoples that delight in war. Vessels of bronze shall be brought from Egypt; Ethiopia will stretch out her hands to God. Sing to God, you kingdoms of the earth; make music in praise of the Lord; He rides on the ancient heaven of heavens and sends forth his voice, a mighty voice. Ascribe power to God, whose splendour is over Israel, whose power is above the clouds. Ahab told Jezebel all that Elijah had done, and how he had killed all the prophets with the sword. Then Jezebel sent a messenger to Elijah, saying, ‘So may the gods do to me, and more also, if I do not make your life like the life of one of them by this time tomorrow.’ Then he was afraid; he got up and fled for his life, and came to Beer-sheba, which belongs to Judah; he left his servant there. But he himself went a day’s journey into the wilderness, and came and sat down under a solitary broom tree. He asked that he might die: ‘It is enough; now, O Lord, take away my life, for I am no better than my ancestors.’ Then he lay down under the broom tree and fell asleep. Suddenly an angel touched him and said to him, ‘Get up and eat.’ He looked, and there at his head was a cake baked on hot stones, and a jar of water. He ate and drank, and lay down again. The angel of the Lord came a second time, touched him, and said, ‘Get up and eat, otherwise the journey will be too much for you.’ He got up, and ate and drank; then he went in the strength of that food for forty days and forty nights to Horeb the mount of God. At that place he came to a cave, and spent the night there. So he set out from there, and found Elisha son of Shaphat, who was ploughing. There were twelve yoke of oxen ahead of him, and he was with the twelfth. Elijah passed by him and threw his mantle over him. He left the oxen, ran after Elijah, and said, ‘Let me kiss my father and my mother, and then I will follow you.’ Then Elijah said to him, ‘Go back again; for what have I done to you?’ He returned from following him, took the yoke of oxen, and slaughtered them; using the equipment from the oxen, he boiled their flesh, and gave it to the people, and they ate. Then he set out and followed Elijah, and became his servant. When we arrived in Jerusalem, the brothers welcomed us warmly. The next day Paul went with us to visit James; and all the elders were present. After greeting them, he related one by one the things that God had done among the Gentiles through his ministry. When they heard it, they praised God. Then they said to him, ‘You see, brother, how many thousands of believers there are among the Jews, and they are all zealous for the law. They have been told about you that you teach all the Jews living among the Gentiles to forsake Moses, and that you tell them not to circumcise their children or observe the customs. What then is to be done? They will certainly hear that you have come. So do what we tell you. We have four men who are under a vow. Join these men, go through the rite of purification with them, and pay for the shaving of their heads. Thus all will know that there is nothing in what they have been told about you, but that you yourself observe and guard the law. But as for the Gentiles who have become believers, we have sent a letter with our judgement that they should abstain from what has been sacrificed to idols and from blood and from what is strangled and from fornication.’ Then Paul took the men, and the next day, having purified himself, he entered the temple with them, making public the completion of the days of purification when the sacrifice would be made for each of them. Hear this, all you peoples; listen, all you that dwell in the world, you of low or high degree, both rich and poor together. My mouth shall speak of wisdom and my heart shall meditate on understanding. I will incline my ear to a parable; I will unfold my riddle with the lyre. Why should I fear in evil days, when the malice of my foes surrounds me, such as trust in their goods and glory in the abundance of their riches? For no one can indeed ransom another or pay to God the price of deliverance. To ransom a soul is too costly; there is no price one could pay for it, so that they might live for ever, and never see the grave. For we see that the wise die also; with the foolish and ignorant they perish and leave their riches to others. Their tomb is their home for ever, their dwelling through all generations, though they call their lands after their own names. Those who have honour, but lack understanding, are like the beasts that perish. Such is the way of those who boast in themselves, the end of those who delight in their own words. Like a flock of sheep they are destined to die; death is their shepherd; they go down straight to the Pit. Their beauty shall waste away, and the land of the dead shall be their dwelling. But God shall ransom my soul; from the grasp of death will he take me. Be not afraid if some grow rich and the glory of their house increases, for they will carry nothing away when they die, nor will their glory follow after them. Though they count themselves happy while they live and praise you for your success, they shall enter the company of their ancestors who will nevermore see the light. Those who have honour, but lack understanding, are like the beasts that perish. O praise the Lord, all you nations; praise him, all you peoples. For great is his steadfast love towards us, and the faithfulness of the Lord endures for ever. Alleluia. O Almighty God, whose blessed Son called Matthew the tax collector to be an apostle and evangelist: give us grace to forsake the selfish pursuit of gain and the possessive love of riches that we may follow in the way of your Son Jesus Christ, who is alive and reigns with you, in the unity of the Holy Spirit, one God, now and for ever. Amen. Have mercy on me, O God, for they trample over me; all day long they assault and oppress me. My adversaries trample over me all the day long; many are they that make proud war against me. In the day of my fear I put my trust in you, in God whose word I praise. In God I trust, and will not fear, for what can flesh do to me? All day long they wound me with words; their every thought is to do me evil. They stir up trouble; they lie in wait; marking my steps, they seek my life. Shall they escape for all their wickedness? In anger, O God, cast the peoples down. You have counted up my groaning; put my tears into your bottle; are they not written in your book? Then shall my enemies turn back on the day when I call upon you; this I know, for God is on my side. In God whose word I praise, in the Lord whose word I praise, in God I trust and will not fear: what can flesh do to me? To you, O God, will I fulfil my vows; to you will I present my offerings of thanks, for you will deliver my soul from death and my feet from falling, that I may walk before God in the light of the living. Be merciful to me, O God, be merciful to me, for my soul takes refuge in you; in the shadow of your wings will I take refuge until the storm of destruction has passed by. I will call upon the Most High God, the God who fulfils his purpose for me. He will send from heaven and save me and rebuke those that would trample upon me; God will send forth his love and his faithfulness. I lie in the midst of lions, people whose teeth are spears and arrows, and their tongue a sharp sword. Be exalted, O God, above the heavens, and your glory over all the earth. They have laid a net for my feet; my soul is pressed down; they have dug a pit before me and will fall into it themselves. My heart is ready, O God, my heart is ready; I will sing and give you praise. Awake, my soul; awake, harp and lyre, that I may awaken the dawn. For your loving-kindness is as high as the heavens, and your faithfulness reaches to the clouds. O God, you are my God; eagerly I seek you; my soul is athirst for you. My flesh also faints for you, as in a dry and thirsty land where there is no water. So would I gaze upon you in your holy place, that I might behold your power and your glory. Your loving-kindness is better than life itself and so my lips shall praise you. I will bless you as long as I live and lift up my hands in your name. My soul shall be satisfied, as with marrow and fatness, and my mouth shall praise you with joyful lips, when I remember you upon my bed and meditate on you in the watches of the night. For you have been my helper and under the shadow of your wings will I rejoice. My soul clings to you; your right hand shall hold me fast. But those who seek my soul to destroy it shall go down to the depths of the earth; let them fall by the edge of the sword and become a portion for jackals. But the king shall rejoice in God; all those who swear by him shall be glad, for the mouth of those who speak lies shall be stopped. After many days the word of the Lord came to Elijah, in the third year of the drought, saying, ‘Go, present yourself to Ahab; I will send rain on the earth.’ So Elijah went to present himself to Ahab. The famine was severe in Samaria. Ahab summoned Obadiah, who was in charge of the palace. (Now Obadiah revered the Lord greatly; when Jezebel was killing off the prophets of the Lord, Obadiah took a hundred prophets, hid them fifty to a cave, and provided them with bread and water.) Then Ahab said to Obadiah, ‘Go through the land to all the springs of water and to all the wadis; perhaps we may find grass to keep the horses and mules alive, and not lose some of the animals.’ So they divided the land between them to pass through it; Ahab went in one direction by himself, and Obadiah went in another direction by himself. As Obadiah was on the way, Elijah met him; Obadiah recognized him, fell on his face, and said, ‘Is it you, my lord Elijah?’ He answered him, ‘It is I. Go, tell your lord that Elijah is here.’ And he said, ‘How have I sinned, that you would hand your servant over to Ahab, to kill me? As the Lord your God lives, there is no nation or kingdom to which my lord has not sent to seek you; and when they would say, “He is not here”, he would require an oath of the kingdom or nation, that they had not found you. But now you say, “Go, tell your lord that Elijah is here.” As soon as I have gone from you, the spirit of the Lord will carry you I know not where; so, when I come and tell Ahab and he cannot find you, he will kill me, although I your servant have revered the Lord from my youth. Has it not been told my lord what I did when Jezebel killed the prophets of the Lord, how I hid a hundred of the Lord’s prophets fifty to a cave, and provided them with bread and water? Yet now you say, “Go, tell your lord that Elijah is here”; he will surely kill me.’ Elijah said, ‘As the Lord of hosts lives, before whom I stand, I will surely show myself to him today.’ So Obadiah went to meet Ahab, and told him; and Ahab went to meet Elijah. So Ahab sent to all the Israelites, and assembled the prophets at Mount Carmel. ‘You yourselves know how I lived among you the entire time from the first day that I set foot in Asia, serving the Lord with all humility and with tears, enduring the trials that came to me through the plots of the Jews. I did not shrink from doing anything helpful, proclaiming the message to you and teaching you publicly and from house to house, as I testified to both Jews and Greeks about repentance towards God and faith towards our Lord Jesus. And now, as a captive to the Spirit, I am on my way to Jerusalem, not knowing what will happen to me there, except that the Holy Spirit testifies to me in every city that imprisonment and persecutions are waiting for me. But I do not count my life of any value to myself, if only I may finish my course and the ministry that I received from the Lord Jesus, to testify to the good news of God’s grace. God of all tribes and peoples and tongues, who called your servant John Coleridge Patteson to witness in life and death to the gospel of Christ amongst the peoples of Melanesia: grant us to hear your call to service and to respond trustfully and joyfully to Jesus Christ our redeemer, who is alive and reigns with you, in the unity of the Holy Spirit, one God, now and for ever. Amen. You only are my portion, O Lord; I have promised to keep your words. I entreat you with all my heart, be merciful to me according to your promise. I have considered my ways and turned my feet back to your testimonies. I made haste and did not delay to keep your commandments. Though the cords of the wicked entangle me, I do not forget your law. At midnight I will rise to give you thanks, because of your righteous judgements. I am a companion of all those who fear you, those who keep your commandments. The earth, O Lord, is full of your faithful love; instruct me in your statutes. You have dealt graciously with your servant, according to your word, O Lord. O teach me true understanding and knowledge,for I have trusted in your commandments. Before I was afflicted I went astray, but now I keep your word. You are gracious and do good; O Lord, teach me your statutes. The proud have smeared me with lies, but I will keep your commandments with my whole heart. Their heart has become gross with fat, but my delight is in your law. It is good for me that I have been afflicted, that I may learn your statutes. The law of your mouth is dearer to me than a hoard of gold and silver. Your hands have made me and fashioned me; give me understanding, that I may learn your commandments. Those who fear you will be glad when they see me, because I have hoped in your word. I know, O Lord, that your judgements are right, and that in very faithfulness you caused me to be troubled. Let your faithful love be my comfort, according to your promise to your servant. Let your tender mercies come to me, that I may live, for your law is my delight. Let the proud be put to shame, for they wrong me with lies; but I will meditate on your commandments. Let those who fear you turn to me, even those who know your testimonies. Let my heart be sound in your statutes, that I may not be put to shame. Now Elijah the Tishbite, of Tishbe in Gilead, said to Ahab, ‘As the Lord the God of Israel lives, before whom I stand, there shall be neither dew nor rain these years, except by my word.’ The word of the Lord came to him, saying, ‘Go from here and turn eastwards, and hide yourself by the Wadi Cherith, which is east of the Jordan. You shall drink from the wadi, and I have commanded the ravens to feed you there.’ So he went and did according to the word of the Lord; he went and lived by the Wadi Cherith, which is east of the Jordan. The ravens brought him bread and meat in the morning, and bread and meat in the evening; and he drank from the wadi. But after a while the wadi dried up, because there was no rain in the land. Then the word of the Lord came to him, saying, ‘Go now to Zarephath, which belongs to Sidon, and live there; for I have commanded a widow there to feed you.’ So he set out and went to Zarephath. When he came to the gate of the town, a widow was there gathering sticks; he called to her and said, ‘Bring me a little water in a vessel, so that I may drink.’ As she was going to bring it, he called to her and said, ‘Bring me a morsel of bread in your hand.’ But she said, ‘As the Lord your God lives, I have nothing baked, only a handful of meal in a jar, and a little oil in a jug; I am now gathering a couple of sticks, so that I may go home and prepare it for myself and my son, that we may eat it, and die.’ Elijah said to her, ‘Do not be afraid; go and do as you have said; but first make me a little cake of it and bring it to me, and afterwards make something for yourself and your son. For thus says the Lord the God of Israel: The jar of meal will not be emptied and the jug of oil will not fail until the day that the Lord sends rain on the earth.’ She went and did as Elijah said, so that she as well as he and her household ate for many days. The jar of meal was not emptied, neither did the jug of oil fail, according to the word of the Lord that he spoke by Elijah. After the uproar had ceased, Paul sent for the disciples; and after encouraging them and saying farewell, he left for Macedonia. When he had gone through those regions and had given the believers much encouragement, he came to Greece, where he stayed for three months. He was about to set sail for Syria when a plot was made against him by the Jews, and so he decided to return through Macedonia. He was accompanied by Sopater son of Pyrrhus from Beroea, by Aristarchus and Secundus from Thessalonica, by Gaius from Derbe, and by Timothy, as well as by Tychicus and Trophimus from Asia. They went ahead and were waiting for us in Troas; but we sailed from Philippi after the days of Unleavened Bread, and in five days we joined them in Troas, where we stayed for seven days. On the first day of the week, when we met to break bread, Paul was holding a discussion with them; since he intended to leave the next day, he continued speaking until midnight. There were many lamps in the room upstairs where we were meeting. A young man named Eutychus, who was sitting in the window, began to sink off into a deep sleep while Paul talked still longer. Overcome by sleep, he fell to the ground three floors below and was picked up dead. But Paul went down, and bending over him took him in his arms, and said, ‘Do not be alarmed, for his life is in him.’ Then Paul went upstairs, and after he had broken bread and eaten, he continued to converse with them until dawn; then he left. Meanwhile they had taken the boy away alive and were not a little comforted. We went ahead to the ship and set sail for Assos, intending to take Paul on board there; for he had made this arrangement, intending to go by land himself. When he met us in Assos, we took him on board and went to Mitylene. We sailed from there, and on the following day we arrived opposite Chios. The next day we touched at Samos, and the day after that we came to Miletus. For Paul had decided to sail past Ephesus, so that he might not have to spend time in Asia; he was eager to be in Jerusalem, if possible, on the day of Pentecost. Working for or against Justin ?